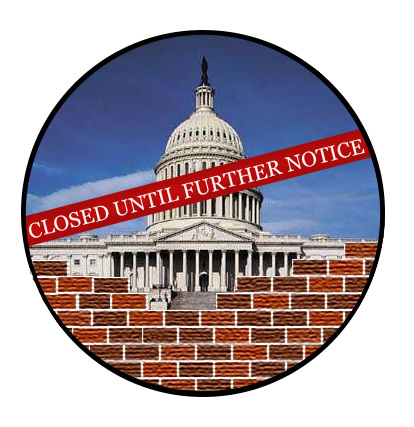 With the partial government shutdown nearing its 30th day, the political student representatives at North Dakota State voiced their concerns, or support, for the shutdown and the wall. Those in attendance included Cale Dunwoody, president of College Republicans, Bradley Foster, a member of Young Americans for Liberty, and Colby Warzecha, vice president of College Democrats. When it came to the shutdown, the three agreed the lack of paychecks for federal employees was unfortunate, and even harmful in some cases, with Dunwoody noting that some government services and jobs are still in effect. Foster expressed that the proposed wall, which is part of what has caused the shutdown, is “a solution in search of a problem.” Foster went on to say that, from where he stands, there is no southern border problem, noting that the opioid crisis, which President Donald Trump continues to use as another reason to build the wall, is not caused by a lack of a wall, but bigger societal problems. The bigger question on everyone’s mind was, is the shutdown worth it? Is it justified? While Foster could not find any justification for the wall, let alone the shutdown, Dunwoody and Warzecha agreed that both parties need to reach across the aisle and figure things out. However, Dunwoody said he could understand the justification behind the shutdown, while Warzecha advocated for reopening the country while politicians negotiate. Dunwoody noted there’s “give and take from both sides,” though he does not believe the left is working toward that compromise at all. Warzecha then said that the nation is largely seeing families crossing the border, while Dunwoody said he had reason to believe that it was mostly single males crossing the border illegally. Foster then pointed out that it is easier for one male to cross the border than it is for a family to do so. When it came to compromise, Warzecha advocated for opening the government and allowing politicians to work on the issue of the wall and border security in private, out of the eye of the public. Looking more into the long-term solutions, Warzecha suggested alternative security systems. Foster said that in the short term, “One side’s got to give,” though which side is going to do so is a toss-up. A more permanent solution, in Foster’s opinion, is to address systematic concerns that have been partially blamed on illegal immigration from the southern border, such as narcotics. While Dunwoody agreed in part with these opinions, he added that not all immigrants are good for the United States and that securing the northern border as well isn’t a bad idea, as the U.S. has seen terrorist activity coming from Canada. Alternative solutions to a wall are hard to come by, and harder to agree on, and Foster suggested ensuring peaceful international systems be put in place. Additionally, Foster said, “A wall won’t work.” Warzecha agreed, adding he was surprised to see such fiscally conservative party (Republicans) putting so many funds toward a wall. Dunwoody readily replied, stating that someone from the left shouldn’t be critiquing how the right spends government money. Differences aside, all three agreed that average Americans are paying the price. When it came to the wall itself, Dunwoody called it an effort to “spur legal immigration,” while Warzecha defined it as “a symbol of xenophobia”; Foster stated that walls also keep people in. He then drew a parallel between the proposed wall and the one in East Germany between the 1960s and 1980s.